Holland America Line proudly traces its origins back to Europe. It’s not surprising, then, that the line excels in its offerings in that region. Their newly-announced lineup for 2020 is already attracting attention. No less than six Holland America Line vessels will ply the waters of the British Isles, the Mediterranean, Iberian Peninsula, Baltic, Iceland and beyond. Along the way, passengers will encounter castles, fjords, vineyards, beaches and hundreds of years of history. One of the line’s most popular ships, Nieuw Amsterdam, returns to the Mediterranean in 2020. She’ll be joined by Nieuw Statendam, Rotterdam, Veendam, Zaandam and Zuiderdam. Holland America Line’s cruise season in Europe will last from March through early November. Itineraries will span from seven to 35 days. "European cruises are incredibly popular because they are the most affordable and convenient way to visit more cities and countries in one seamless vacation," said Orlando Ashford, president of Holland America Line. "With an expanded season and six ships offering itineraries that cover the entire region, our guests have a wide selection of cruises that showcase the best of each country with the most enriching and immersive experiences." Roundtrip sailings are one of the most convenient options for guests traveling to Europe. The line’s 2020 schedule includes round trips from Amsterdam and Rotterdam in The Netherlands; Boston, Massachusetts; Civitavecchia (Rome) and Venice, Italy; Barcelona, Spain; and Copenhagen, Denmark. Another option gaining in popularity is the extended port visit. Overnight calls provide the chance to experience Europe’s vibrant cities in a more in-depth fashion than traditional calls. 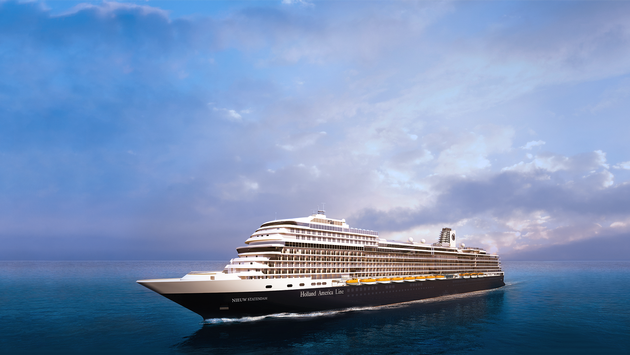 Holland America Line’s 2020 schedule offers overnights in 13 ports. They include Antwerp, Belgium; Amsterdam; Barcelona; Dublin, Ireland; Funchal, Madeira; Istanbul; Lisbon, Portugal; Piraeus (Athens), Greece; Reykjavik, Iceland; South Queensferry (Edinburgh), Scotland; St. Petersburg, Russia; Venice; and Valletta, Malta. 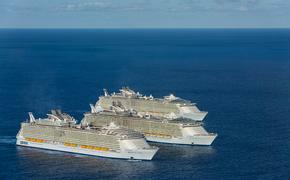 Guests interested in a more extensive cruise can combine itineraries into unique Collector’s Voyages. They range from 14 to 35 days, offering extra time for cultural immersion in the riches of Europe. Three Holland America Line ships are set to cruise Northern Europe in 2020. Among them: the line’s new flagship, Nieuw Statendam. She’ll sail seven- and 14-day roundtrip cruises from Amsterdam. The Rotterdam will also cruise from Rotterdam, offering seven- and 14-day roundtrips. While Veendam will cruise roundtrip from Amsterdam on longer itineraries of 14 to 21 days. The Northern European cruises offer the chance to explore the Norwegian fjords, including Geirangerfjord, Hardangerfjord, Olsofjord, Eidfjord, Liefdefdfjord, Lilliehöökfjord, Trondheimsfjord and Sognefjord. Four Holland America Line ships will ply the Mediterranean in 2020. Nieuw Amsterdam will spend the entire season there, offering 12-day Mediterranean Romance, Mediterranean Tapestry and Mediterranean Empires cruises to Greece, Turkey and Italy roundtrip from Venice or between Venice and Barcelona or Civitavecchia (Rome). It will also sail the 12-day Adriatic Dream and Greek Odyssey itineraries between Venice and Civitavecchia. Additional highlights of the line’s 2020 Europe season include the 35-day Voyage of the Vikings aboard Zaandam. The roundtrip from Boston calls at 18 ports in the U.S., Canada, Greenland, Iceland, Norway, the Netherlands and Ireland. Two shorter segments are also available from Boston to Amsterdam or the reverse. Several transatlantic crossings between Fort Lauderdale and either Northern Europe or the Mediterranean are also available.